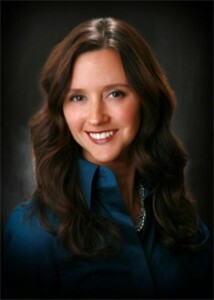 We are excited to announce Dr. Gesica Horn’s feature in Mpls. St.Paul Magazine highlighting her outstanding leadership and commitment to providing an environment with comfort and trust. As top Mineapolis area dentist, Dr. Horn has always believed people deserve to have a healthy and attractive smile and it can be achieved in a caring environment. Dr. Horn has developed close relationships with all of our patients, making them part of the Serene Oaks Dental family. She is a highly skilled restorative and cosmetic dentist who only uses modern and advanced technologies and techniques. Her commitment and philosophy is recognized in the community and our local magazine. Mpls. St. Paul Magazine says it all, “As the owner of Serene Oaks Dental, Dr. Horn feels it is very important to understand her patients and create a team and culture that allows them to do just that.” Read more about Dr. Horn’s feature by clicking here. Give us a call today and see the calm and soothing atmosphere we provide for all of our patients. You’ll walk in to calming water fountains, a serene fireplace, and complimentary beverages; you’ll feel you’re right at home.